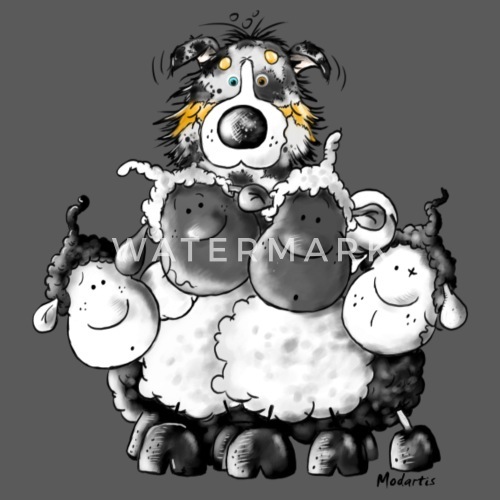 Cute Australian Shepherd and sheep t-shirt design. Australian shepherd cartoon, comic, caricarture, illustration. Herdings dog, dogs, doggy, puppy.